HomeOur BlogAdult AdviceObesity Awareness week! As everybody heads back to work after the new year most of us are thinking about exercising more and healthy eating after popping on a few pounds over the festive period. We are all quick to notice and do something about our own weight gain but have you checked your dog’s weight recently? It is easy for your dog to sneak on the extra pounds just like we do over the Christmas period as more food is dropped on the floor and they are taken for less or shorter walks. Monday 14th January marks National obesity awareness week so here at the Natural dog food company we have been thinking about the effects and facts of dog obesity. Did you know that a whopping 30% of the UK dog population are overweight? This can cause health problems in your dog just as it can in humans, putting much more pressure onto your dog’s joints therefore causing joint problems. Unnecessary stress is put onto overweight dog’s hearts, lungs, liver and kidneys as well as being more prone to illness and injury all because they are overweight. Canine obesity is the most common nutritional disorder in dogs and in most cases is preventable. Obesity causes a greater risk from anaesthetic and surgical complications, cardio-respiratory disorders hormone problems, cancer, skin disease, early death and many more issues are related to canine obesity. If you have any concerns about your dog, please contact your vet for advice. The main reason dogs are overweight is the simple fact that they are eating too many calories. Most owners don’t know how many calories their dog needs a day to maintain a healthy weight and unfortunately the average dog does not get enough exercise. We have put together a feeding guide on the back of all our bags of food and on our website for reference. • Changing feeding habits – check feeding guides for correct daily food intake, if you have been over feeding your dog, dividing their daily amount into several meals may be better for your dog as they will not feel hungry for too long. Remember not to feed your dog too late as they don’t burn as many calories when they are sleeping, a good ration is 2/3 in the morning and 1/3 in the afternoon. For overweight dogs, feed to the target weight not what they weigh! • Increase exercise – Why not start exercising with your dog, start with short walks and gradually build up yours and your dog’s strength and fitness, maybe even work up to a jog/run. Maybe even take up a canine sport such as agility or flyball? • Regular trips to the vets – Your vet will be able to give you weight loss advise and should be able to offer free weight checks and record your success. It may be worth asking your vet to check for any underlaying diseases that could be causing your dog to be overweight. 3. Step back onto the scales and record the combined weight of you and your dog. 4. Subtract your weight from the combined weight. 5. You now know your dog’s weight, contact your vet to find out if this is a healthy weight for your dog or compare to average weight for the breed. • Checking the type of food is correct – If your dog is obese it may be a good idea to look at a weight control food to get your dog back to a healthy weight (remember to gradually introduce a new food mixing it with the old food. 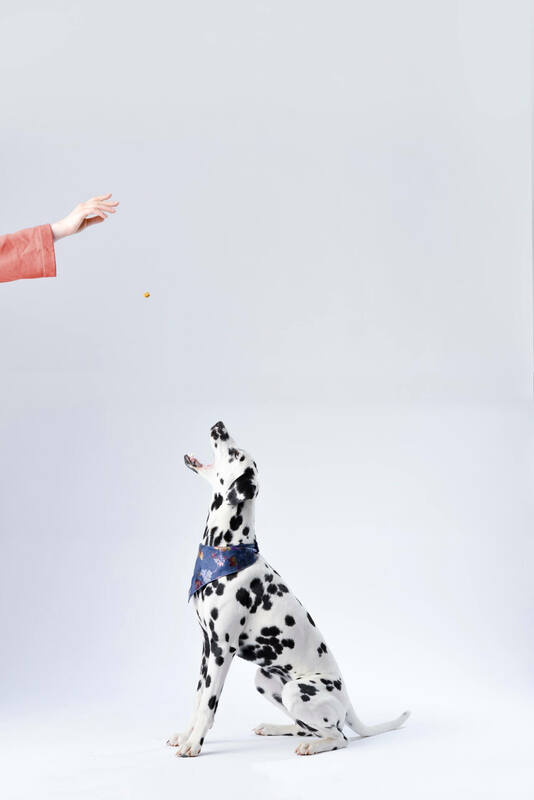 • Reduce treats – reduce the amount of treats you give your dog on a daily basis and swap regular treats for a healthier option of carrot sticks or cucumber. Remember all addition food counts to the daily feeding amount even if they are healthy snacks like carrots! When your dog starts to lose weight, you will notice they start to feel happier, more excited for walks, more energy to run around and more inclined to play fetch. Why start tomorrow when you can start today. Click here for more information about our Senior/Light range!